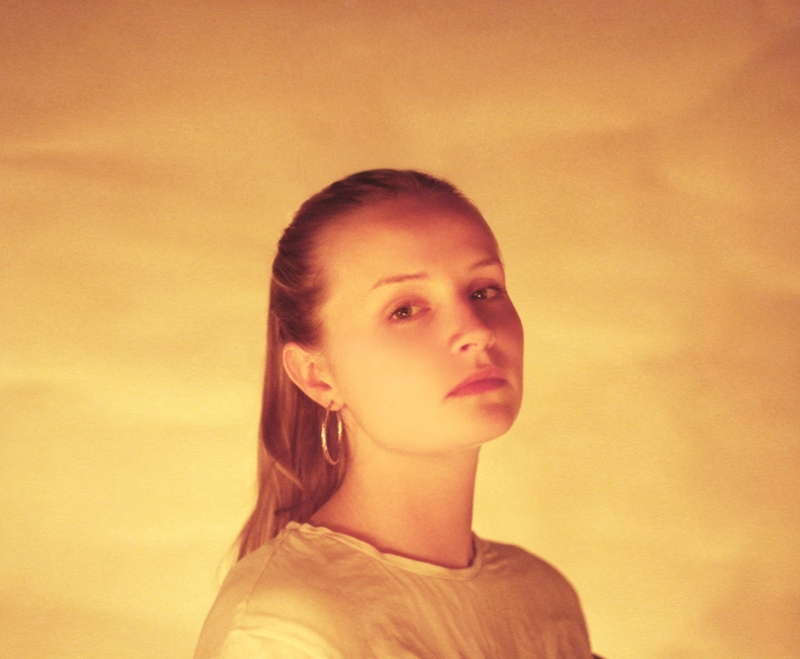 Mere months after the release of her critically acclaimed debut EP CDW, Charlotte Day Wilson has made the transition from “artist to watch” to “rising feminist icon”. While the Toronto-based R&B singer has made waves on multiple occasions since embarking on a solo career in 2016, the music video for her single Work, published in the days following the Women’s March this past January, proved that Wilson isn’t afraid to make a lasting statement by taking her work to a more politically-charged, potentially divisive level. The simple yet striking clip, directed by filmmaker and fellow Torontonian Fantavious Fritz, helped transform the smoky, gracefully powerful Work into a sort of unofficial anthem for the throngs of women willing to fight for change in tumultuous times and prepared to persist in their efforts, no matter how long and difficult the road to equality may be. In anticipation of her Phi Centre performance on April 22 (alongside opening act Bernice), we caught up with the soulful singer/songwriter to discuss the impact of her latest video, touring Trump’s America as an outspoken queer woman and her advice to young female artists looking to make their mark in the music world. How did the concept for the Work video come about? What was the filming experience like? The concept came about from a quick video I took on my phone a while ago on an escalator in London. The people’s expressions in the video were amazing and I just kept going back and watching it and wondering where everyone was going and why. When Fantavious Fritz and I decided to work together on the Work video, I showed him that snap as a reference and we went from there. The video for Work was directed by Fantavious Fritz, who identifies as male. Why did you choose to work with him on this project? Have you received any criticism regarding hiring a man to do this specific job, given its association with the Women’s March? Fritz and I came up with the concept together but he was in fact the one who suggested that the video be all women, trans and genderqueer folks. From there, we realized we had a really strong concept. I haven’t received any criticism based on the fact that the video was directed by a man. We need more men like Fritz who use their platform to create progressive scenarios that we don’t see everyday in music videos. You recently performed in Miami with Angel Olsen. As a queer woman, how did it feel playing in United States, given the current political climate? The show with Angel was amazing. Her and her band were super chill, the crowd was great and we had a lot of fun. However there is a voice in my head that tells me to be careful when I travel to the states. I’m generally surrounded by good people when I’m there but I still keep my guard up. Last year, you went on tour with Local Natives, a band comprised entirely of men. Did you feel you were treated differently when it came to the more technical side of touring? The guys in Local Natives are amazing – they treated me with respect and kindness from the very start. Stand-up dudes. The only thing that sucked was not being able to travel with my own sound people. We used the house sound crew every night and on the 30-date tour we didn’t have a single woman sound engineer, which is absolutely ridiculous. I’m sure there were nights where the sound guys talked down to me but usually as soon as I start performing that shuts them down. You garnered a ton of praise for your appearance on BADBADNOTGOOD’s In Your Eyes last summer, and I’m sure you’ve been asked to lend vocals to a slew of other tracks since. In your opinion, what makes a good collaborator? To me a good collaborator is first of all, someone or a group whose music I adore. But they also have to be good teammates. I can’t deal with people whose egos get in the way of creative teamwork. I also like to chat and get to know people as we go and so I like working with people who are willing to open up about their feelings and create an emotional dialogue. If you could work with any artist in the world, who would it be? Do you have any plans to explore or examine the female experience using other artistic mediums? Yeah, totally. I love installation art and fashion and I’d love to collaborate with women doing their thing in those fields. What advice would you give to young women looking to make their mark in music? Learn how to produce, mix and engineer! Look up some Youtube tutorials on Ableton or Logic or whatever you want to use and get familiar with the language of production. Charlotte Day Wilson performs at the Phi Centre April 22, with opening act Bernice.